Sometimes it would appear the gods of travel tailor-made New Zealand with the road-tripping adventurer and camping-passionate in mind. Here is a stunningly natural world, empty of people for vast stretches, just waiting to be explored, with all kinds of natural gems tucked well away in the country's nooks and crannies; most of the best far from any public transport links. To drive legally in New Zealand you only have to hold a driving licence from your own country (unless you have been in the country for more than 12 months in which case you have to convert your licence to a New Zealand one). No rental company is going to hire a vehicle to you without seeing your licence and it is a legal requirement to have your original licence with you at all times when driving. If you do need to convert your driving licence then read our article on how you can easily do that. 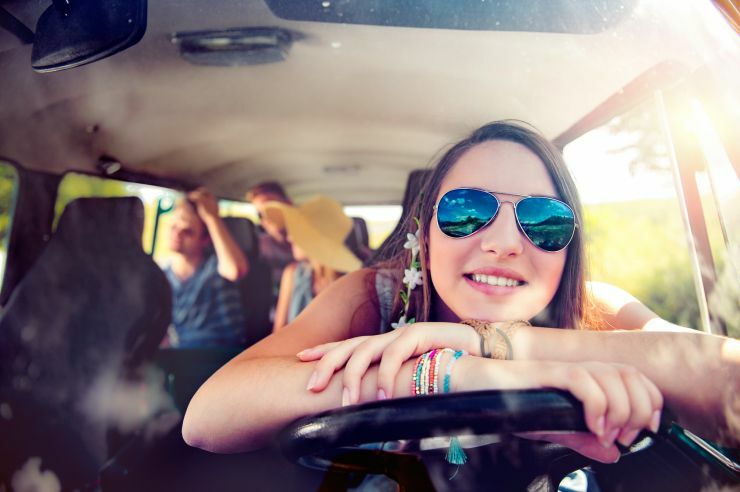 Most of the camper van rental companies will accept drivers from 18 years old and up but there are some which have a minimum age of 21. You also need to be aware that where the insurance side of things is concerned you are likely to pay higher rates if you are aged between 18-21. Most rental companies will have a few options on the insurance front, all of which are linked to the amount of excess you agree to pay and will be liable for in the event of an accident. In most cases you can just go with the basic insurance included within your daily rental price – nothing extra to pay - but you need to be very aware this will typically attract a HUGE excess should you be involved in an accident. Under these conditions you could be liable for anything up to NZ$5000. Other insurance options will reduce this excess rate on a sliding scale down to zero; the lower your excess, the higher will be your additional daily rate to pay. In most cases, for an excess in the realms of NZ$0-NZ$250, you will have to pay around an extra $25-$35 per day. These amounts are often capped so you won't pay beyond a certain amount no matter how long you hire the vehicle for. And just in case you're thinking right here what a great driver you are and that this will never happen to you, you might like to know insurance in New Zealand works a little differently to that which you might be used to. Insurance isn't compulsory here which means should an uninsured driver cause damage to your vehicle you are still liable for the excess (which may or may not be recoverable to you through a long legal process). Factor in the highly challenging nature of the New Zealand roads – especially the gravel ones – and you might start to understand why so many hirers don't just go down the cheapest initial route. Your choice of course. Rental companies differ considerably on where you are and aren't allowed to take your vehicle. Most will let you drive on gravel roads but some don't. All of the truly off-the-beaten-path places are gravel road access so you need to consider this carefully when hiring. Without exception, there are 3 roads in New Zealand which all hire companies prohibit their vehicles from using. These are Ninety Mile Beach in the Northland, Skippers Canyon Road near Queenstown and Ball Hutt Road near Mt Cook. Of course, there are no insurance police patrolling who will stop you driving on these roads but should you do so and anything happens your insurance will be null and void and you may be liable for the entire cost of a replacement vehicle. Waivers tend to apply only the first incident. Tyres and windscreen replacements are often not typically covered under insurance options unless you opt for a high level of cover. There is a roll clause in many insurance agreements which makes your insurance null and void in the event of rolling your hire vehicle. All insurances are void if you are drunk or under the influence of drugs. Read your insurance small print carefully to avoid any nasty financial shocks. It is almost universal that you will be offered some kind of roadside assistance or breakdown recovery within the daily hire rate of your camper. However, not all are created equal and you might want to ask a few questions to be completely sure on what this does and doesn't cover to avoid finding yourself with huge bills to pay in some circumstances. Towing for example, is very often excluded from your price-inclusive agreement and towing in New Zealand can be very pricey. Mechanical breakdowns may or may not be covered in their entirety – usually they are if the company is reputable – but other kinds of assistance are almost always not included. These include things like locking your keys in your van or losing your keys. Quite what you are covered for with regard to tyres, windscreen and glass varies hugely although most of the more popular companies will cover you here if you opt into their best insurance cover. You may come across the term 'self-contained' when looking at camper van hire options. You may also assume this is just some generic term related to comfort levels or the like. However, this term has special significance in New Zealand and if you are hoping to do some freedom/wild camping LINK (parking up and sleeping away from designated camp sites for free) it is very important you make yourselves familiar with the self-contained concept. Once-upon-a-time wild camping was everywhere in New Zealand but the masses came – most of which had respect for their stunning surroundings but there were the selfish ones too who left litter, washed their dishes with soaps in rivers, answered the calls of nature in beauty spots and otherwise behaved irresponsibly. As a result laws have tightened considerably in the country with regard to wild camping. Almost all of the areas set aside by district councils for wild camping, the wonderful beachside freedom camping scheme on the East Cape and some of the free and un-serviced Department of Conservation campsites require a vehicle to be self contained. This means you must have an on-board toilet with a certain waste storage capacity (this can just be a cassette-type porta potty – it doesn’t have to be fixed) as well as the capacity to contain grey waste (waste water from dish washing or anything which comes out of the sink drain), a sink, a fresh water supply and an evacuation hose. Self-contained hire vehicles will have a certificate which you will have to show in designated areas and be aware that encroachment of regulations is now heavily enforced and attracts hefty fines. You can save a fortune with wild camping as well as getting to park in some incredible spots so a self-contained camper – although typically always more expensive – might work out cheaper in the long run. There are alsa any number of extra inclusions which you might find ranging from a bucket to a complete media system. all your fuel – some hire companies throw in a discount fuel card. Vehicles typically have to be returned with as much fuel in the tank as there was when you collected it. So, what is to stop you hiring a camper for the minimal amount, with the highest excess of thousands of New Zealand dollars and then just disappearing? Or bringing the vehicle back in a state inside and out? The answer – the security bond on your credit card, typically to the amount of your excess. When you sign your rental agreement, you will be asked to provide your credit card. This will be imprinted with (most usually) an amount equal to your excess. Imprinted means the amount will never actually be taken unless you breach your contract in some way. As the security bond is often in the realms of NZ$3000 you must have a credit limit on your card which reflects this. 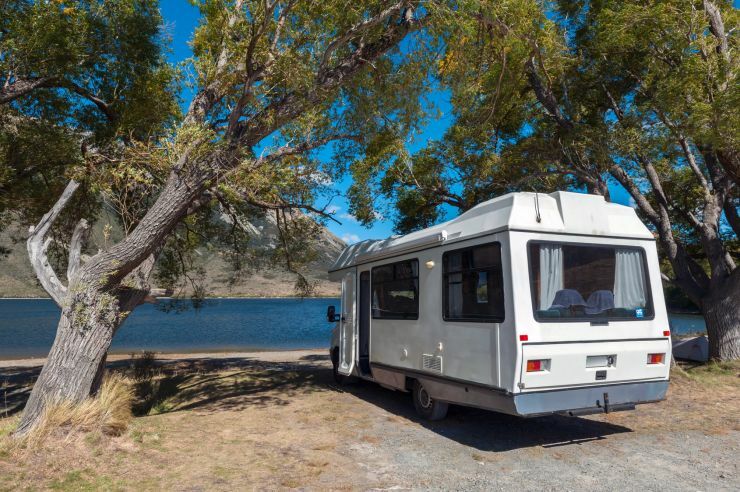 Be sure what your camper contract asks of you – usually such things as broom-cleaned inside on return, returned at the agreed time, without any equipment missing or damaged and so forth – to avoid any problems on returning your camper. So....you still want to rent a camper van. 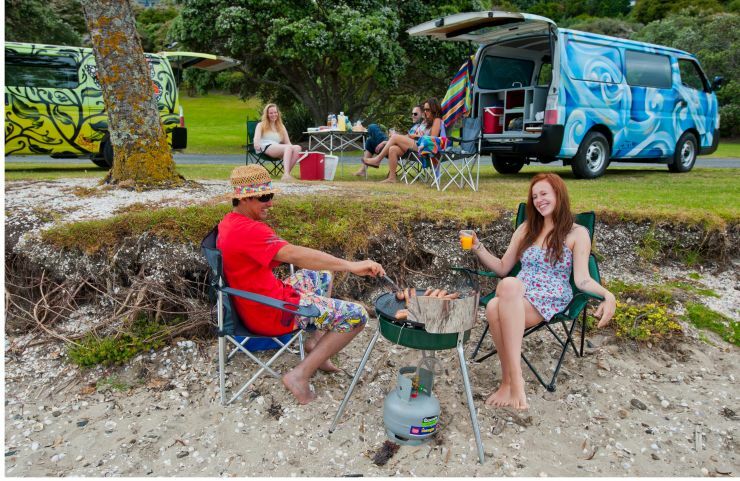 Then check out our article on 'Which Campervan Rental Company Should I Choose' LINK for a breakdown and comparison of the biggest camper rentals companies in New Zealand.